SQ-6 is a next generation digital mixer, powered by Allen & Heath’s revolutionary XCVI 96kHz FPGA engine. Created to excel in demanding scenarios such as AV, corporate events, live productions and houses of worship, SQ-6 offers class-leading high-resolution audio fidelity and an ultra-low latency of * makes it an excellent choice for conferences, panel talks and more. The integrated SQ-Drive makes it quick and easy to capture a 96kHz multitrack or stereo recording of the show direct to a USB key or drive. No software setup, no soundcard driver issues and no extra laptop to bring to the performance. SQ-Drive is also a smart way to manage walk-in music. Also provided is a built-in 32×32 96kHz audio interface for multitrack recording, backing tracks or virtual soundcheck applications. The interface is Core Audio and ASIOTM compliant and comes complete with MIDI and DAW control capabilities. The SQ MixPad app is available for free on iOS and Android platforms, providing wireless control of the main mixing functions. 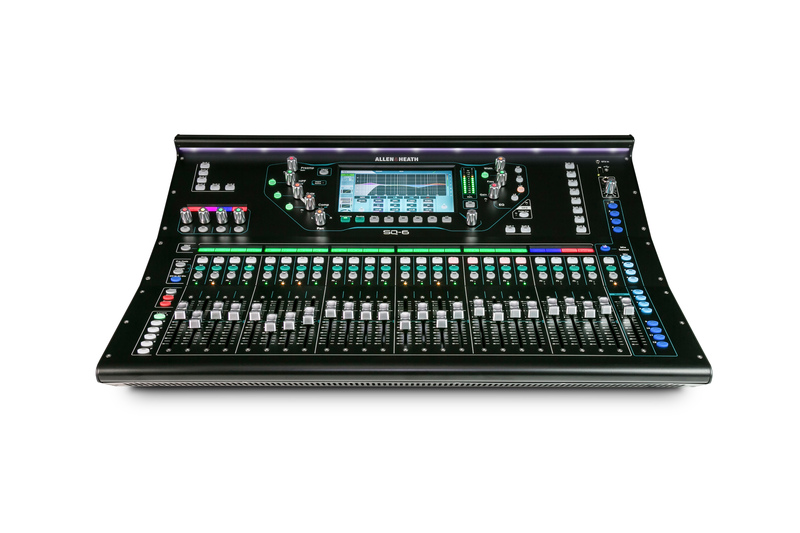 This enables the engineer to mix from different listening positions, set up monitor mixes from the stage, or just add extra local control. All you need is an iPad or Android device and a wireless router. Apple, the Apple logo, and iPad are trademarks of Apple Inc., registered in the U.S. and other countries. App Store is a service mark of Apple Inc.